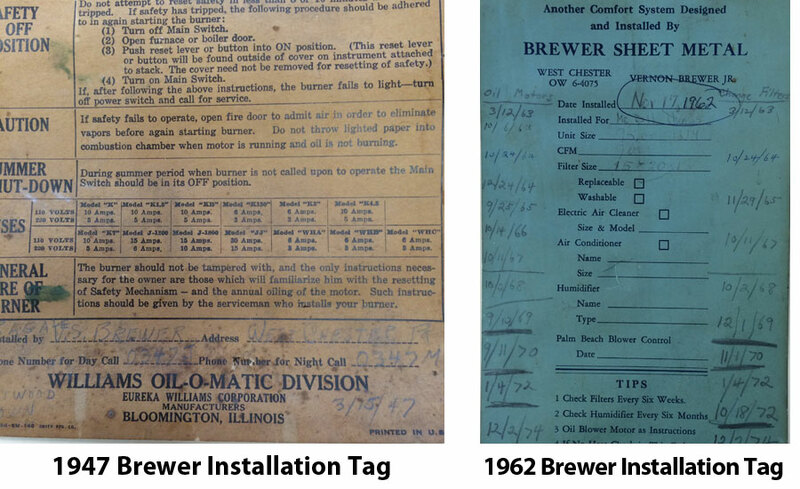 The Brewer business legacy began in 1938 with Vernon S Brewer Sr. He owned and operated Brewer Oil Burner Service that was located on the corner of Market and New St. in West Chester, PA. He delivered oil and installed and serviced oil burners throughout Chester County. Vernon S Brewer Jr. graduated from Franklin & Marshall College while serving in the Navy during WWII. He began his career delivering oil for his father. Looking for a different aspect in the business, Vernon Jr. started a sheet metal fabrication business in the basement of his father’s oil burner service shop. While there was doubt in the minds of some that there would be enough demand for his type of work the young businessman was convinced of the need and his perseverance paid off. The 2nd generation Brewer firm built a shop and headquarters at 127 Garfield Ave in 1962, where it is still located. Vernon Brewer was one of the first contractors in the area to install air conditioning and heat pump systems. The sheet metal shop manufactured all types of specialized products from small fittings to large trunk lines. He did jobs such as installing the heating system for the Liseter Hall pool built by John du Pont’ for the National Pentathlon Championships in 1967 to custom exhaust hoods up to 13’ long for Luken Steel in Coatesville. His metal fabrication shop lay out was featured in a Vocational Text Book. Vernon Brewer also served on the Board of Governors for the Electrical Association of Philadelphia in 1979. He became well known for his design skills with forced air systems used in commercial applications. 1983 introduced the 3rd generation of the Brewers. Bob Brewer who was playing professional football decided to join the family enterprise. Tom Brewer was working in the installation sector. Bob continued the family business with the installation of the HVAC system at the QVC studios and warehouses. He and Tom installed the system at the Chester County Prison Work Release Center and several Senior Living Complexes. Bob and his brother-in-law, Dennis installed all the HVAC for the Fern Hill Medical Complex which is an extension of the Chester County Hospital. He also installed the duct system for M. Knight Shyamalans’ personal home in Chester County. Tom Brewer for the past several years has developed the residential installation department which includes forced air, gas, oil, radiant heat, ductless splits, heat pumps and geothermal systems. This has resulted in the growth of a large Service Department that includes highly trained technicians that deliver 24/7 service to our Service Contract customers. 2008 introduced the 4th generation of Brewers. Jon Warren, a nephew, is a lead mechanic in the residential installation department. Jon is a graduate from Kutztown University in PA. and the son of Dennis Warren a 30 year employee and brother-in-law of Bob and Tom. 2009 Glenn Dickey, a nephew, was hired as the Service Manager for the growing service department. He is a graduate of the Wireless Institute in Phila. PA and he was the HVAC Service Manager at the Talil Base Camp in Iraq for over 2 years. This generation is moving the company into the high tech world of Wi-Fi thermostats and complex high efficient hybrid systems. In 2014, our fifth generation joined us. Glenn Dickey Jr. joined our service department. He is the son of Glenn Dickey and the great nephew of Bob Brewer. The mission of the firm has always been to deliver an excellent service and to stand behind it. The family has lived and worked in the Chester County area as far back as William Penn. The reputation of the family business is of highest priority. 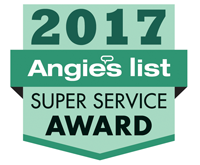 When you live and work in the same community as your customers it is important to provide good quality service at a fair price. This is what we strive to do.